I drove the couple miles to the Loveland SC and took some photos for the club to help familiarize you with the site. First photo: As you come in on Clydesdale Drive (the hotel is adjacent to the Budweiser Events Center, hence the street name) you will see the Embassy Suites with the adjacent John Q Hammonds Convention Center attached to it. You want to drive around the building to your left and continue to the west/rear side. This view is looking to the northwest. 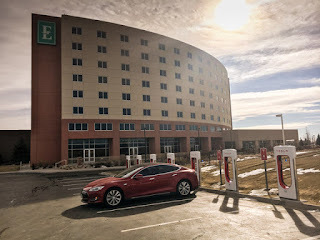 Second photo: The ten superchargers (nine back-in and one pull-in) are between the hotel and I-25. The PODS truck you see above my red Tesla is driving north on I-25. Third photo: The Embassy Suites is very handy to the chargers. There is a restaurant and a coffee shop inside. 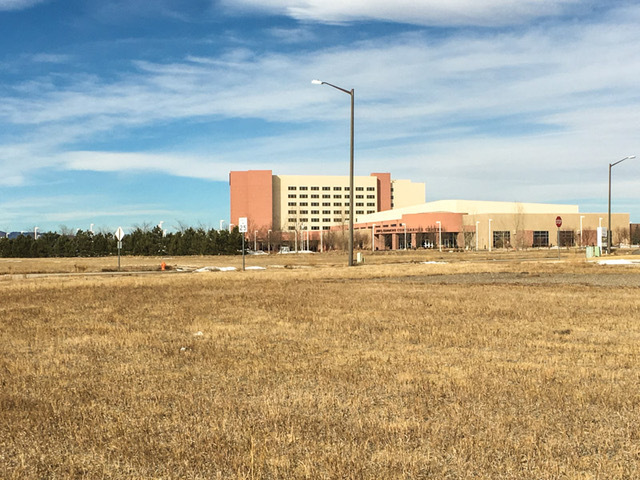 There are also several restaurants like Perkins, the Boot Grill, and the Palomino Mexican Restaurant in the area, but it’s a bit of a walk to get there. The gentleman with the black Tesla turns out to be a relatively new member of our club that lives in Brighton. 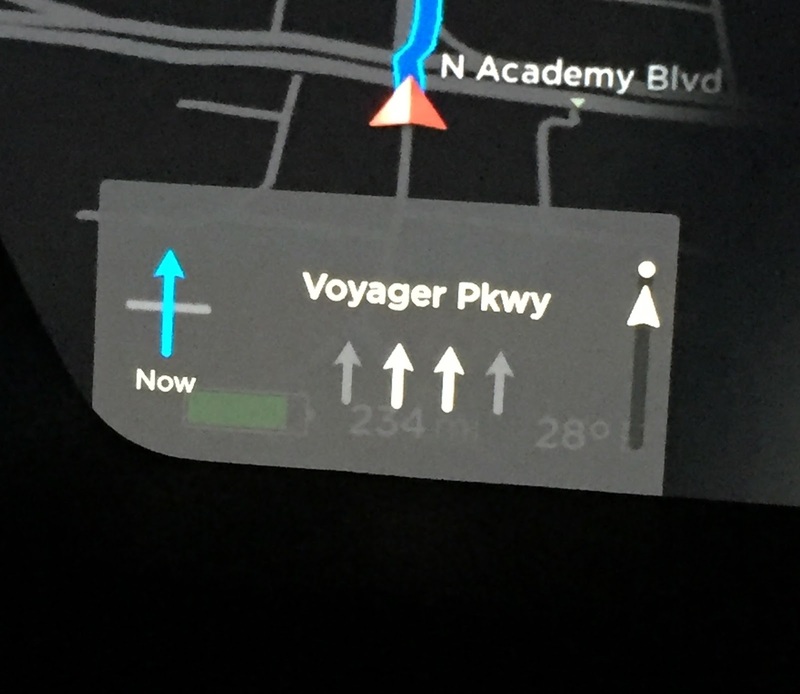 He was headed to Laramie today and had planned to stop in Cheyenne to charge, but was surprised to see the new SC pop up on his nav screen. He had good things to say about the amenities inside the building. 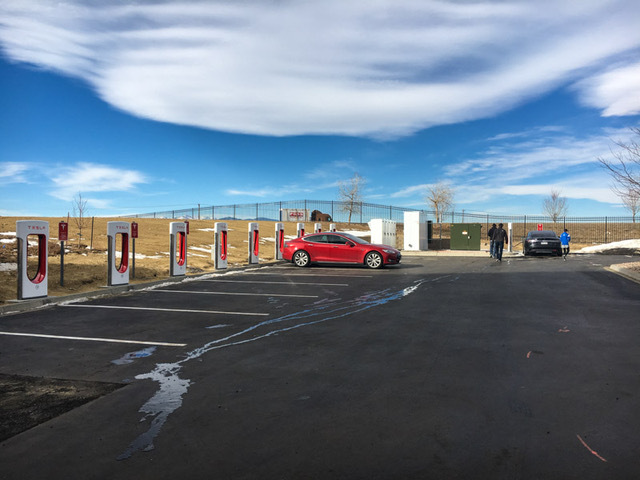 Loveland Supercharger now open - the trip was ON! Hello all members of the Colorado Springs Electric Vehicle Club (CSEVC)! 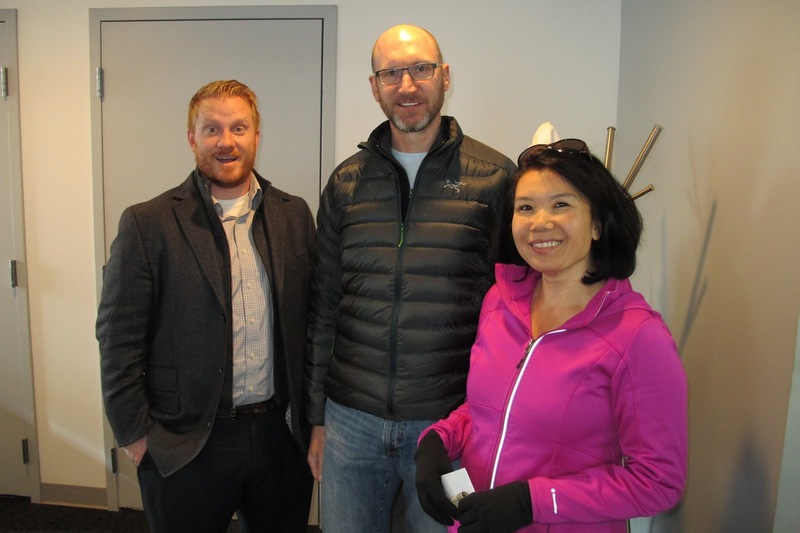 An idea hatched by member of BOTH clubs, Elizabeth Nguyen, who lives in Denver, was to take up a collection and buy lunch for the ~40 employees at the Denver Tesla Service Center (Evans Ave. location). Both clubs decided it WAS INDEED a good idea to show some love for these guys and gals who take such good care of our Teslas. NOTHING TO DO IN THE DEAD OF WINTER (UPDATE #2)!! 1. Drive up the instant someone says they are working! Be the FIRST there if at all possible. 2. Since most of us work, and cannot just take off at a moment’s notice, form a posse and drive up on the first Saturday AFTER one of them opens. We would not be the absolute first chargers, but we would be PRETTY EARLY! I think that everyone would agree on option #2. Therefore, be alert to emails from this club! 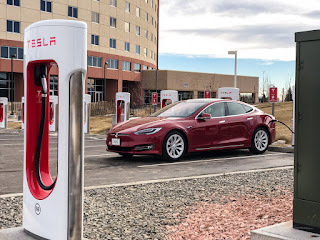 I will send out a blast email announcing that so-and-so supercharger is reported to be open, so let’s go on a ROAD TRIP the very next Saturday. Leave from Denver at (so and so time), leave from Colorado Springs at (such and so time), meet at Loveland about so-and-so time. Decide on a place to eat, have lunch, charge, drive home!! Brush, CO is a little further away. We could make a little adventure out of it. First, Colorado Springs leaves, then Denver. Drive to Brush, meet at such-and-so time. Do a little charging, talk, socialize. Then drive straight South on Highway 71, a paved, two lane highway. 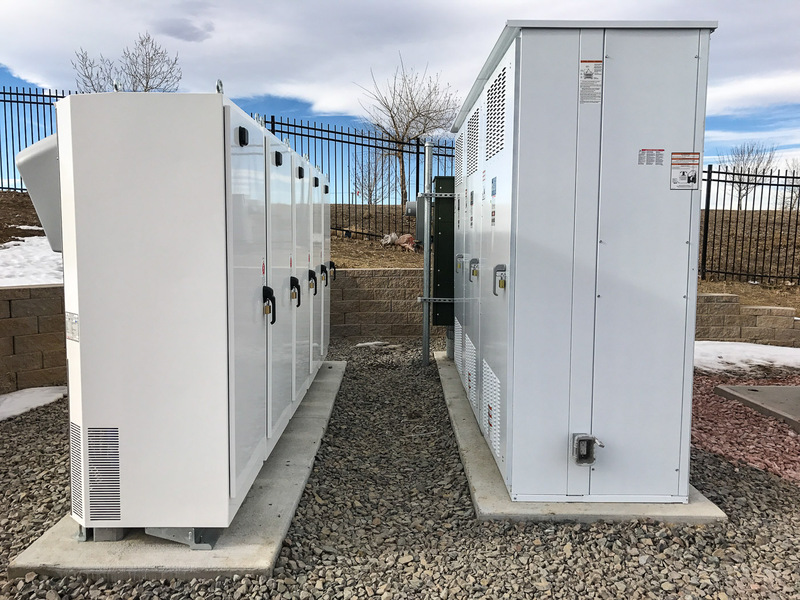 It is 75 miles to Limon, CO, where there is another six-position Supercharger. Plug in, eat in Limon, talk, and then anyone from Denver can drive on home via I-70, and Colorado Springs attendees can drive on home via Hwy 24. What do you think? TWO road trips in the middle of winter (weather permitting)? Since there is little interest in attending a CSEVC meeting in the middle of winter, we have decided to not have a monthly get-together in January. The Ice Festival will constitute the February meeting. 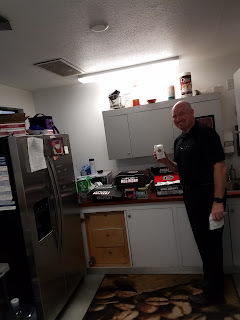 Since there are many rallies/drives/events during the spring and summer, we will probably go to quarterly meetings or have the meetings in conjunction with our events. Let us know your thoughts! Denver Service Center gets lunch! Both the Denver and Colorado Springs EV clubs delivered a free lunch to the East Evans Avenue Tesla Service Center crew on Wednesday, Dec. 21. They took enough lunch for both the day and evening crews. Thanks for a job well done! approx. 21% efficient, with 80% of the energy going out the tailpipe or becoming heat. An EV is 95% or more efficient, so it goes 3x - 5x the distance for the same energy (again, EV for the win). See the video for more information. Get ready for some donating! I received the email below from the Denver Tesla Club. 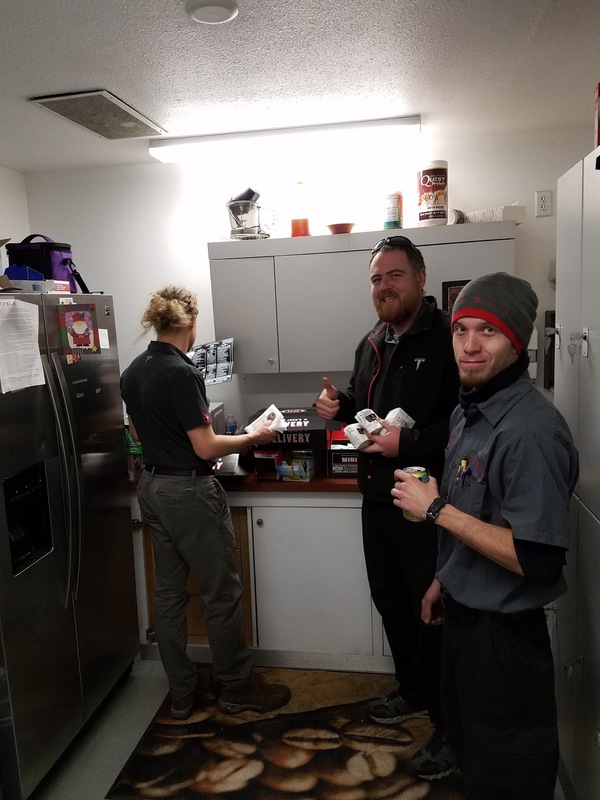 They want to have a holiday lunch for the Tesla Denver Service Center. I suggest a minimum donation of $15 to cover an individual's lunch. I call this the "Adopt a Tesla Employee". Note that the regular Denver Tesla Club meeting this Saturday has been cancelled. 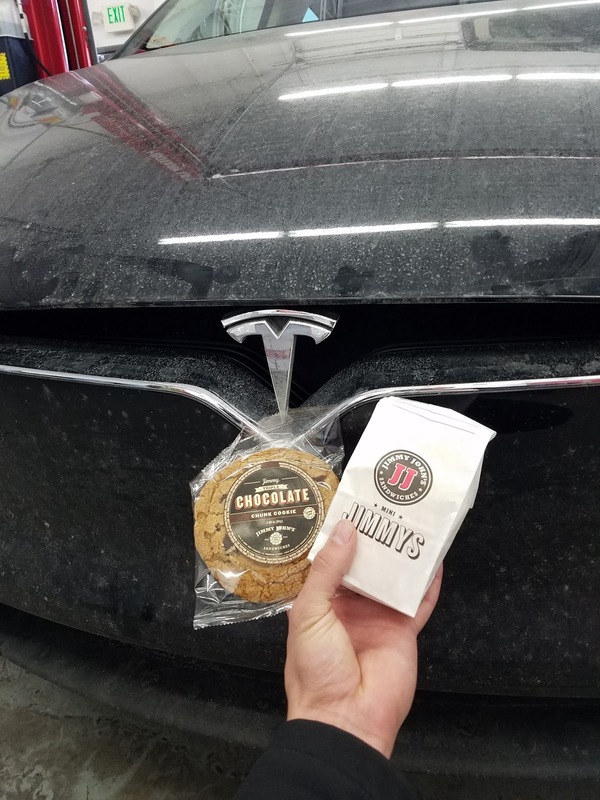 We will be moving forward with the holiday lunch for the employees of the Denver Tesla Service Center the following Wednesday, December 21st from 11:00 am to 2:00 pm. We will be getting catering from Qdoba. Elizabeth has a Paypal account set up ( https://www.paypal.com/ ) to collect donations if any of you prefer to do it that way. The account is nguyen@rgreenlee.com . You must sign up or already have a PayPal account to send money to Elizabeth's email account. Wilson still has not paid his dues yet, so we have no slush fund to use. However, if you would like to make a donation, please let either Mac or myself know and we will arrange collection. Thanks, everyone, and thanks to Elizabeth for the great idea. Our club member John Duprey needs a lift to the DEVC lunch in Denver on Saturday. 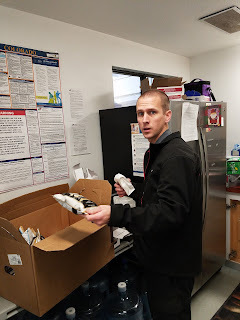 If you're able to help, contact him at John.Duprey@csevc.com . Thanks! Our latest member, Steven Ballard, lives in Colorado Springs, CO and drives a 2013 Tesla Model S 60. Make him welcome! 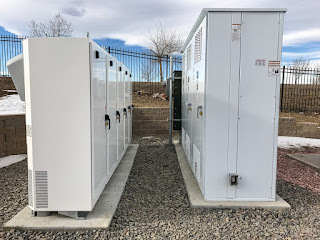 Monarch Casino has lots of charging! Erik Strait coordinated a Tesla group photo at the Monarch Casino parking garage this past Sunday to celebrate the installation of about a dozen Tesla and J1772 chargers. 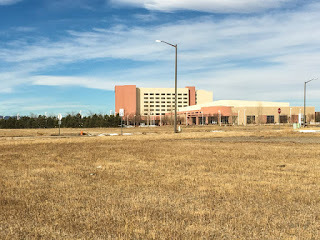 If you're a casino visitor, the Monarch in Black Hawk, CO might be a good place for you to stay. 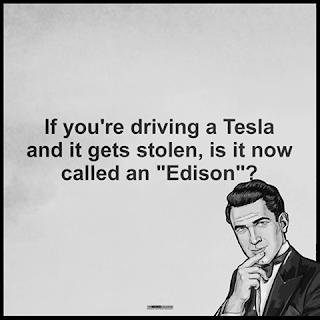 New EV enters the market, challenges Tesla! 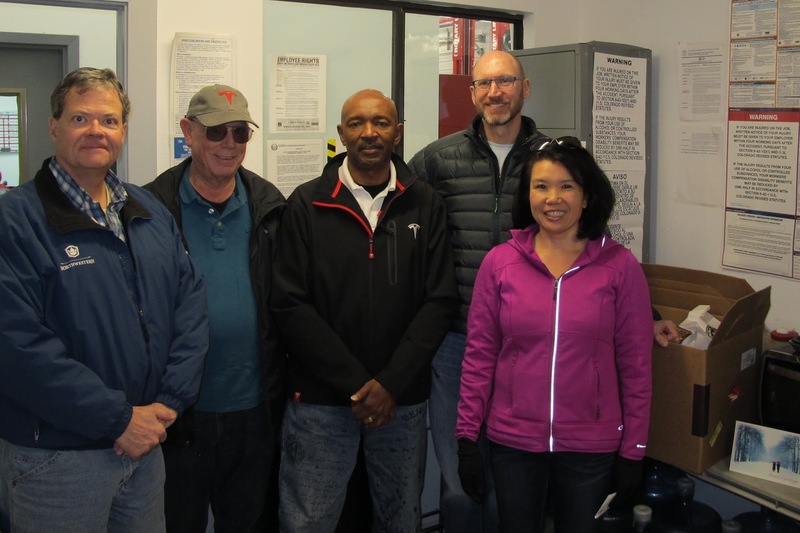 Elizabeth Nguyen thinks it would be a great idea for the Denver Tesla Club and Colorado Springs EV Club to join in getting lunch or holiday treats for the employees at the Denver Service Center. I thinks it is a great idea and wonder if we could do it the same day as the next Denver Tesla Club meeting on December 17th. Erik Strait of teslainventory.com found out that the Monarch Casino in Black Hawk has installed 10 Tesla HPWC and 2 Clipper Creek level 2 chargers, and he was wondering if anyone would like to join him this Saturday or Sunday for a photo. Please email me or Erik at erikstrait@yahoo.com if you are interested in joining him. So does anyone know what the upward facing arrow on the right means? 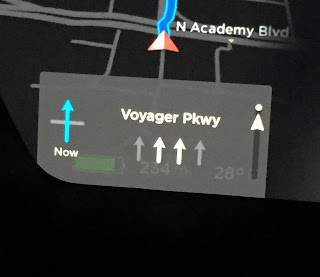 It's a photo from the Tesla navigation screen. I think it's a slider indicating how close you are to the next transition. That bottom left grey panel shows when there is a transition, usually a turn or highway exit, and in your case an intersection where you should go straight using either of the middle 2 lanes. To all who celebrate, have a Happy Thanksgiving this year. Remember to bring up sustainable travel in conversation during the day. While not recommended, if you choose to only participate in Thanksgiving with electric vehicle owners, our club will understand. We'll also understand if you choose to sit away from those that burn dinosaur goo to attend Thanksgiving. If you are the host and say "second helpings are for electric vehicle owners only", we know where you're coming from. The ultimate achievement: baking your Thanksgiving meal in a solar-powered oven. You'll get an appreciative golf-clap from all of us! Denver Tesla Club a success! The CSEVC and the Denver Tesla Club had a combined meeting today at Panera Bread on S. Colorado Avenue. Extreme Automotive talked about the services it offers (clear bras, wraps and tinting). 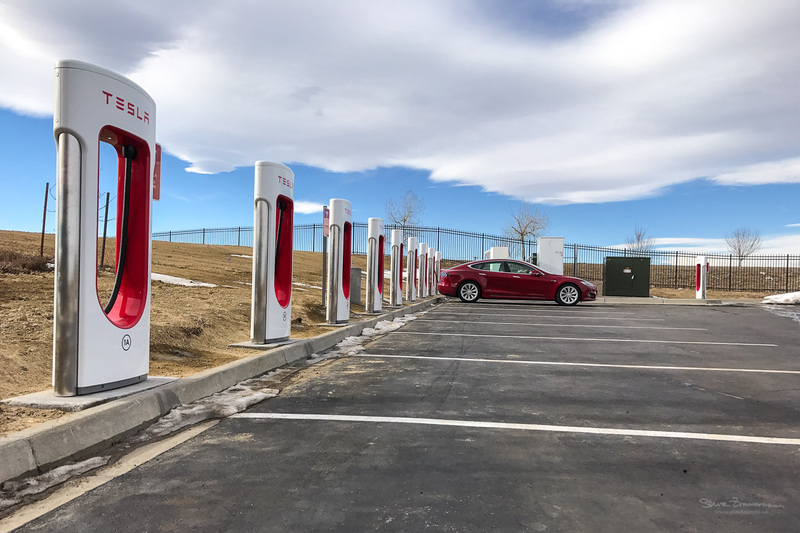 Denver Tesla Club November meeting this Saturday! 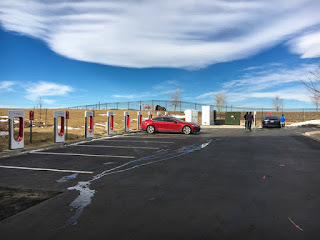 Reminder that we will have our November Denver Tesla Club meeting at Paneras this Saturday at 10:00 am. Our special guest will be Extreme Autoworks, the company behind Elizabeth’s beautiful purple Model S. We look forward to seeing you there. This is a tread gauge. It's a simple device that can tell you how worn your tires are, and even if they're in alignment or need to be rotated. I bought this one at Autozone for $3 (I think) but have been given one when buying tires. After a year of owning a Model S, my tires are just barely in the green (which means I'll be buying tires before next year's Tesla Rally). If the tread reading is the same for all four tires, you are rotating them properly (or you have Tesla's AWD). If the tread reading is the same at all tread points on a tire (center and outside tread grooves), your tires are properly aligned. If the center tread groove is significantly different than the outside groove, you're wearing your tires out prematurely (either by alignment issues or under/over inflation). As we approach the Winter, I advise checking your tires with a tire gauge. I have All-Seasons on my EV, but this year was the first time I've purchased snow tires for my ICE vehicle. Snow tires are pliable below 40 degrees F, so if you plan to drive in snow a lot they are recommended. We have a second Roadster in the club! Our latest member, Richard Thompson, comes from Texas to Colorado Springs and owns a 2010 Fusion Red 2.5 Roadster. He stopped by our Glen Eyrie club meeting to say hello and get in touch with us. Please make him welcome when you see him! The December meeting for both the DEVC and the CSEVC will be our annual holiday party, Saturday, Dec. 10 at Cinzzetti’s Italian Market Restaurant , 1:00 PM to 3:00 PM, 281 W. 104th Avenue, Northglenn. This is an enormous buffet during the last two hours of their Saturday Weekend Brunch and you can check out their Menu at: http://www.cinzzettis.com/colorado/foodmenu/ Coffee, tea or soft drinks are included; espresso or alcoholic beverages are extra. It would be most helpful if you would arrive between 12:15 and 12:45 so we can get everyone checked in beforehand. Members with annual dues current, get in for FREE. If your dues are not current, or you are not yet a member and would like to join us, dues will be collected at the door (Regular $20, or Sponsor $50). All guests of members will be $10 each. So we can give Cinzzetti’s a heads up on the number attending, please RSVP to me (David McNiel) at: jdmc44@comcast.net by the 8th of December and include the number of guests attending with you. 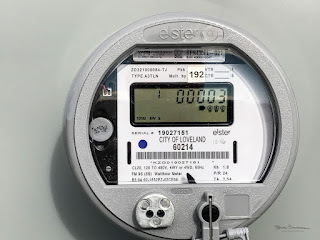 This is a time when we have our largest turnout to a meeting with everyone connecting, or reconnecting, with fellow EV enthusiasts. Make sure you attend, you’ll be glad you did! 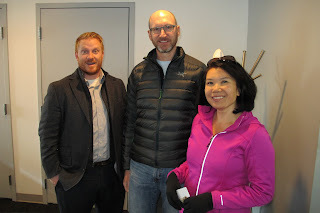 Our November meeting was held at Glen Eyrie and we have more folks that we anticipated! We got a brief tour of the home after a buffet lunch. I wish we had space to post all the photos I took, I'll put in the ones I can. December's meeting is in conjunction with the DEVC near Denver, check back with this website for details.